Wilson Eye Center is proud to be the first to offer optical delivery. Our delivery driver was hand selected with the best driving record and a background in customer service. Our car was chosen to be eye catching and efficient on gas. Anytime you see the eyePOD with the lashes blowing in the wind, you can rest assured we are taking every precaution to ensure your glasses or contact lenses are being delivered promptly. We value your time, and the reason we offer delivery is simple; we want to offer our patients the highest level of customer service. 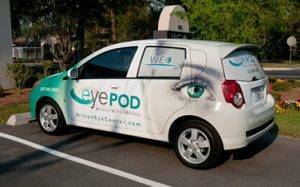 The eyePOD delivers anywhere in Lowndes County for FREE. 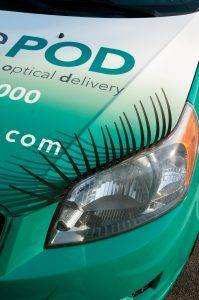 If you want your contact lenses or glasses delivered, call our office directly. If you choose to order your contact lenses directly from our website, your contact lenses will mail directly to you. It is important to note that if you choose to have your glasses delivered, you should stop by our office to have them professionally adjusted. 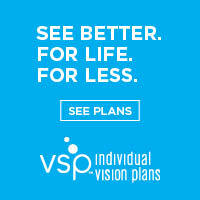 Wilson Eye Center offers more ways to save you time. eyePOD is your Personal Optical Delivery service. For the safety of our eyePOD driver, no cash is accepted at time of delivery. CHECKS or CREDIT CARD ONLY! Payment arrangements should be made prior to delivery.